Hot Dogs & Guns: Dirty Harry 44 Magnum...do you feel lucky? Dirty Harry 44 Magnum...do you feel lucky? 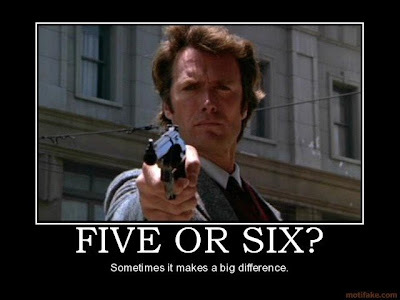 Five or Six? Sometimes it makes a big difference.